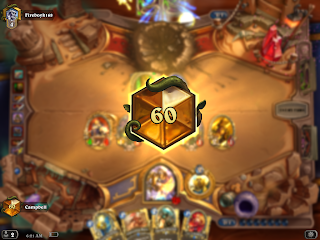 So, you may or may not be aware that I'm an occasional hearthstone player. Hearthstone is a microcosm of the strangeness of the modern world writ large. Not just the game, but the entirety of the culture that has sprung up around the game. 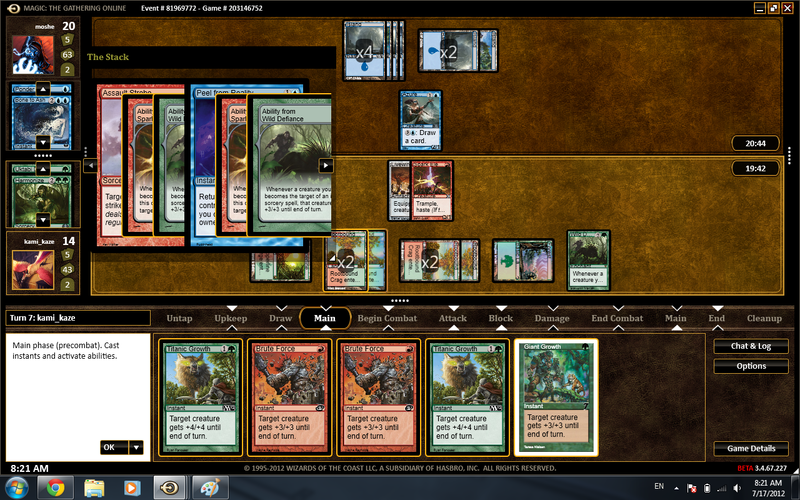 In my personal opinion, it is a far superior game to Magic: the Gathering. I'm sure that there are magic players out there ready to disagree with me. Some may even have valid points outside of attempting to eliminate their cognitive dissonance over their sunk cost into Magic, but I'm not interested in hearing their arguments. I'm not going to walk into their house and knock the magic cards out of their hands. But there are so many design choices that Hearthstone does so right. This is, for a large part, why there is such overwhelming negativity and anger from the player base of the game. Unlike Magic, every single turn you acquire another mana crystal, instead of being dependent on drawing lands from your deck. The result of this steady increase is a high degree of consistency. There is no mana screw. The balance between lands and cards in magic is a strong factor in the consistency of a magic deck, but because lands are dependent on draw, it is not possible to eliminate (completely) the issues with consistency. Of course in professional decks this is rarely a problem, due to the decks being well designed, but consistent mana growth completely eliminates the problem for casual players. cards, pay any upkeep costs, then draw. During each of those individual phases, play cannot continue until the current player gives the opponent a chance to do something. So yes, technically you have to stop the game three times to give your opponent a chance to take an action during the draw phase of a turn. Now in reality it rarely works out that way. In the client you can set triggers to stop your opponents play during their turn when you'd like the option to act. Because the attacker chooses targets instead of the defender choosing who to block, it streamlines the entire game process. You don't have to wait for your opponent to make choices during your turn. You are encouraged to control the board, be aggressive, and spend your turn playing the game. A sure sign of someone who has little insight into game design, would be the people popping up, pointing out that all these changes that streamline the play of the game would make it too "simple". The same fallacy is at work when you realize how much smaller each Hearthstone set is, then a comparable Magic set. Having more options does not make something better. 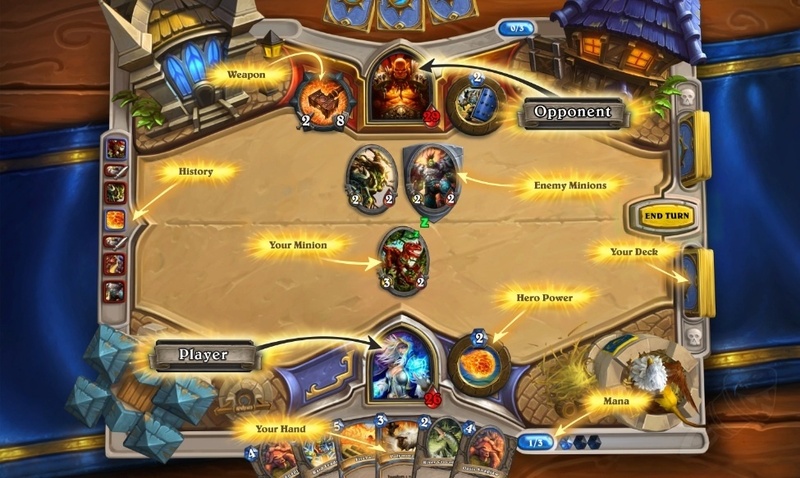 They are games about different things: whereas Magic is about using the cards to directly combat your opponent by trying to alter how the game functions to reach what the win condition of each player is, Hearthstone is about reading your opponents hand and plays to play in such a way that maximizes your chances to win, much like poker. Bluffing, baiting, and going all in based on your read and statistical percentages is what makes Hearthstone so fascinating to watch at high level play. It's important to note that this success of design is mirrored in the popularity of each game. A generous estimate of the number of magic players worldwide is somewhere around 20 million, compared to 50 million active players in hearthstone as of April last year. What's more, is that it's not possible at all for anyone to make a living as amagic player, yet the majority of professional hearthstone players can and do make a living at it, in a plethora of ways. These choices, in addition to 30 card decks, make Hearthstone a very, very consistent game. In order to offset this consistency, the cards themselves do things. In fact, it was this (forgive the term) magic that first brought me into hearthstone. There are cards that hand out a special set of dream cards, cards that randomize all targets, cards that replace your hero, spectacular cards that do what no real card game can. This is what keeps games from getting stale, the random effects of the cards themselves. And it's these odds and percentages of random effects that must be weighed to reach the highest echelon of play. But, you know, that's just not enough for some people. As someone who's played since beta, there has never been a period where people went "Hey, this game is pretty good." Let me tell you, the game is and always has been pretty good. Currently the complaint is about the "Pirate Package", a selection of 3 cards the provide a powerful opening hand. Before that it was about lack of communication from Team 5. Over Christmas. Before that it was salt about Yogg, a card that cast a random spell at a random target for each spell you had cast during the game and how he was too random and too powerful. Before that it was secret paladin and their 'unbeatable' curve of Secretkeeper, Minibot, Muster for Battle, Shredder, Belcher/Loatheb, MC, Boom, into Tieron, (Link Cards) before that Patron Warrior a deck that had a sub-50% win rate on ladder for all but the highest tier player, all the way back to complaints about miracle rogue. Since, forever–really, since release, any decent player could take a tier 1 or 2 deck to legend. A good player could take any tier deck to legend. Even in the most dismal period for Priest, when it was the absolute worst class, Zetalot, a pro-player who only plays priest, could take it to legend. But that's the thing about card games, you always have a chance to win. Now, there are legitimate complains about Hearthstone. It is one of blizzards most popular and profitable titles. Although Blizzard doesn't release specifics, In August of 2015 the estimated revenue is around 20 million dollars a month, several hundred thousand dollars a day. Considering the active userbase has grown since then, it's hard to imagine that the profit has somehow dropped. Team 5, the Blizzard team behind hearthstone was originally only 15 people, and now, even with the gigantic userbase and profits, still only hovers around 70 members. I seriously doubt each member of the team takes home 3.8 million dollars yearly, making hearthstone an extremely profitable venture for Blizzard. Team 5 is very slow and hesitant to communicate with their userbase, which is understandable, considering the levels of salt encountered online. But this doesn't change the fact that very basic issues persist in the client. It took years to just add an additional 9 slots for decks, some cards and card text continues to be wildly inconsistent, and known bugs sometimes go years without being addressed. The problem with the salt is many-fold. The first is that hearthstone is a competitive environment. Lots of other competitive games receive balance patches, so player expectation is that Hearthstone should also. But hearthstone isn't like that. You can't raise someone's damage or fire rate by 4%. Hearthstone is an extremely chunky game. When you increase or decrease the value on a card by simply one, it creates a massive shift in the entire meta-game. There are cards that are underpowered at 4 mana, that would be overpowered at 3. What's more, is that the meta shifts approximately every 90-120 days or so, and really, that's often not even enough time to discover all the hidden peaks and valleys of power within a set. And data is something team 5 does have, as they've mentioned offhand in their somewhat rare communications. The second is that, if you're reading this, Hearthstone is free to play and has a very generous system for players. I generally get between 6-10 packs a week for free, just from quests, tavern brawls, and winning games. A dedicated player could accumulate 12 packs or more with time, and that's not even considering the possibility of entering their arena draft mode; at 7 wins, you've effectively made your gold spent to enter the arena back. This is, in large part, why hearthstone is such a popular game. 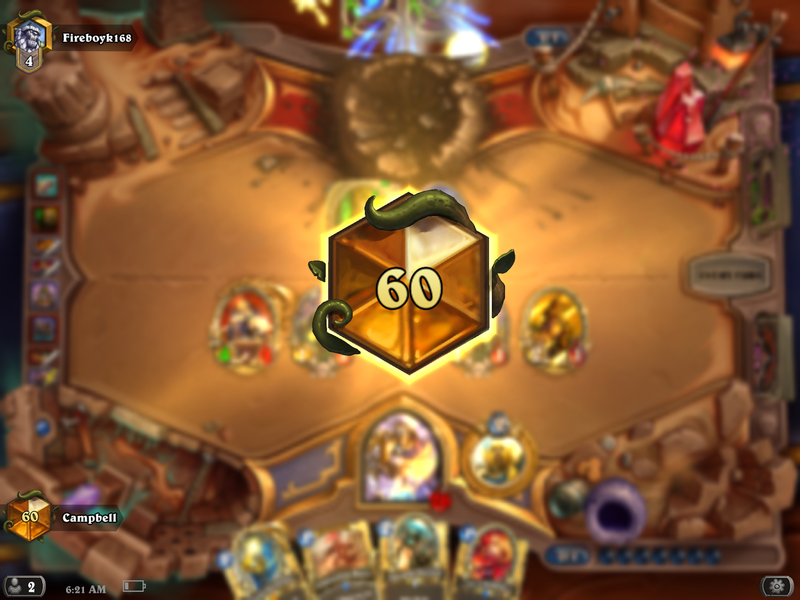 Finally, it's that, at it's core, hearthstone is a really, really, good game. David Sirlin in his masterpiece Playing to Win talks about games that are flat (where there is one best strategy) and games that have depth, where no matter your level at the game, you can improve your play and become a better player. Hearthstone is that. And people can see that. So when you do encounter a flaw or problem or bug, the game is already so good, can you imagine how much better it will be when that problem is fixed? I think it needs time. Things move faster now then they did in the past- at the two year mark for magic the gathering, (back in 1996) it wasn't nearly as popular or organized. All the problems, they aren't unknown. Yes, the client will improve. Yes, tournament features will be added. Yes, the game will get better. It speaks well of Team 5 that they think very hard before making any changes, and, well, keeping the golden goose alive for their masters. If you're interested, and you play, give me a shout and we'll trade battletags. Not a player myself, but I've had many friends invested in both hobbies. Great summary, and from what I've seen accurate. Have you tried Star Realms or similar deckbuilding games ? Also, have you tried EPIC Card Game? $15, built for drafting, small expansions w/fixed cardlists (a la LCGs). Very (slavishly) M:tG-like w/big splashy effects/creatures, but with a clever twist: all cards cost 0 or 1 coins, you get 1 coin on your turn & 1 on your opponent's. Delivers on M:tG's promise of many-step back'n'forth spellcasting duels. Digital version coming this year I believe. From the STAR REALMS guys. SR is a brilliant Ascension-like deckbuilder btw: lightning quick, very replayable. So I've never played Hearthstone, and I don't really like MTG. But I've got some devil's advocate to play. Regardless of whose turn it is in a game of magic, each player has decisions to make. The active player decides who to attack with, while their opponent has to decide who defend with. It's not about volume or complexity, it's about engagement. When all the decisions reside with a single player, the other player's turn is boring. I've been thinking about trying Hearthstone, but as I already am a fairly active League of Legends player, I'm not sure I have time and energy for another competitive game (and if it's not about competition, there are more relaxing single player games that I can play without network connection). I play heartstone between my League of Legend games. I usually can finish my game before pick-ban phase is over.